Landlords Helping YOU Find Better Tenants! Just one call to Complete Residential Lettings Ltd and we will guide you every step of the way through the process of letting your property:-Free Property Valuations, Accompanied Viewings, All tenants undergo full credit and reference checks, Comprehensive Advertising Through Right Move, The UK`s Number One Property Website, Highly Visible To Let Boards, Regular Inspections, To Ensure Tenants Are Looking After Your Investments, Comprehensive Inventories Compiled, Legal Tenancy Agreements Drawn Up, Fully Insured Contractors On Hand, Securing Tenants Deposits,, Organising The Relevant Legal, Safety Checks Relating To Gas, Electric and EPC`s, Rent Guarantee Available On Managed Properties. We offer the same, high level of standards whether you require a Let Only or Fully Managed service. Tenants Helping YOU Find a Better Home! 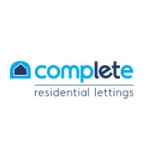 Our aim is to make the process of renting a property as easy and stress free as possible. Once we have received your completed application form we will endeavour to inform you of the success of your application within 5 working days. We also have the systems in place to reference a tenant the same day, should you require to move more swiftly. All tenants deposits are registered with the DPS (Deposit Protection Service) therefore giving you peace of mind that you deposit is secure. Before you move into a property we ensure it conforms to all current safety regulations relating to gas, electric and furnishing laws.